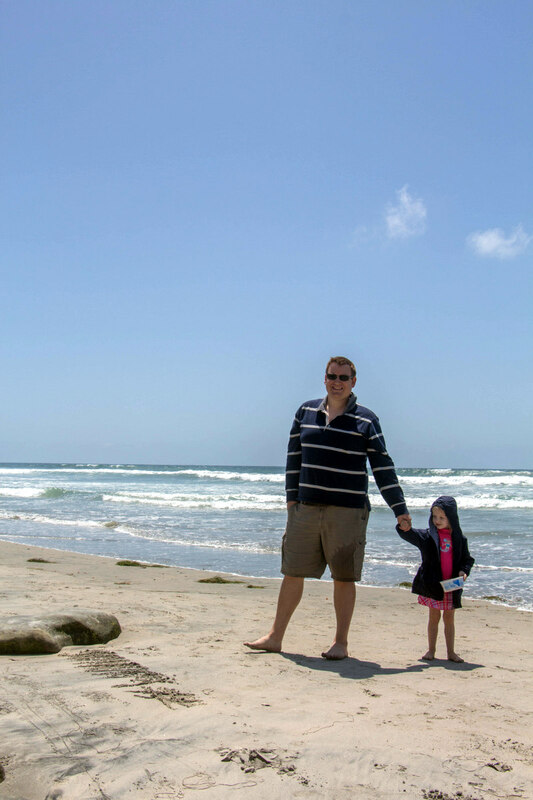 We wanted a decently sized beach that wouldn’t be crowded on a weekend, so we chose Del Mar Beach. The beach isn’t vacant, but we had our own place on the beach. 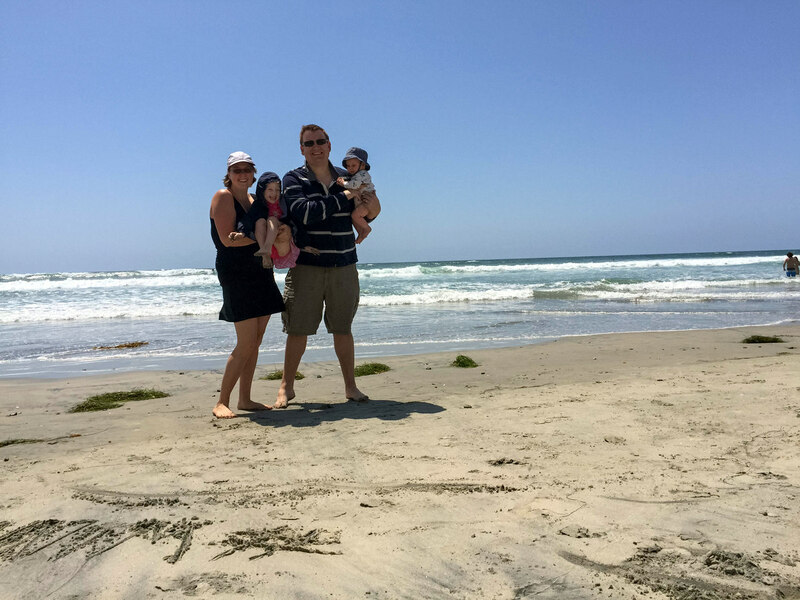 One of the other reasons we like Del Mar Beach is because it’s one of the best beaches in San Diego for finding sea shells. That’s really important when you have kids! Our three year old daughter had a blast walking up and down the beach collecting shells. Del Mar Beach is situated in the cozy town of Del Mar, just about a twenty-minute drive from downtown San Diego. So, you can get there quickly! The town offers lots of great places to get food, drinks, or supplies. There’s even a post office! We usually park in the parking garage. There’s one right by the park for only $2/hour (underground, and metered parking). There’s also plenty of street parking if you can find a place to park. Nearby restaurants include a couple of pizza places, a terrific one-of-a-kind frozen yogurt shop, and a bunch of hamburger places. Our favorite stop for a hamburger is Burger Lounge, only a 10 minute drive. But, let’s get back to the beach! The sand is just like every other beach in the area: Soft, and brown. There are some really cool cliffs that line the back of the beach which help to protect the beach from the wind. So, if you’re a bit tired of the strong winds we have so often in the spring, you might try Del Mar Beach. Del Mar Beach is free access. There’s an awesome family playground just above the beach. Highly recommended! It’s a big grassy place where kids can play, and people also bring their dogs. They even have a splash pad, and playground equipment. 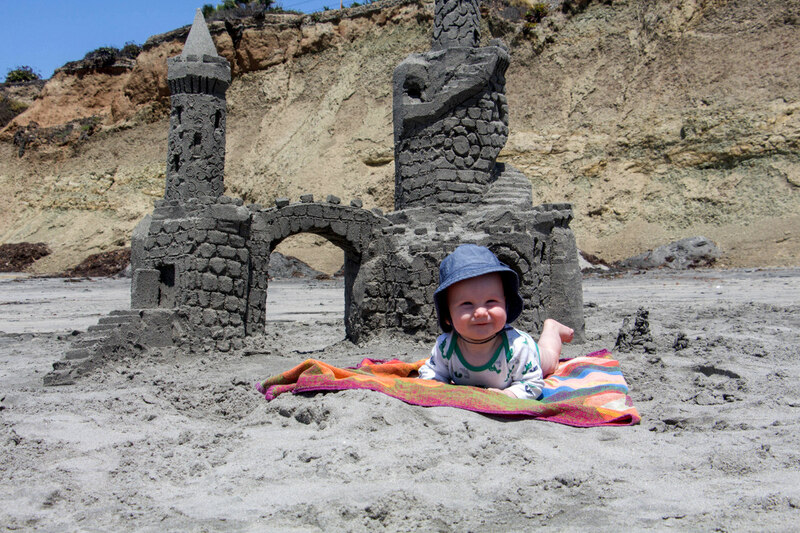 On a recent Saturday that we visited there was a professional sandcastle maker building a huge beautiful sandcastle. It was fun to watch! As I write this, the water temperature is about 58 degrees. That’s fairly typical for May. The water warms up slightly in the summer months, some times to about 64 degrees. Set your Google Map directions to Powerhouse Park in Del Mar.